Concurrent with the Expo in Milan, the Chair of Professor Günther Vogt presents the current design and research work of its students, as well as theses on the urban development of the metropolitan region of Milan. The exhibition, which runs from 25th June to 22nd July 2015 at the Istituto Svizzero, looks at the territory of Milan from four different perspectives: industry, city, agriculture and infrastructure. To match each of these conditions, an excerpt from a classic of Italian cinema is projected in the main exhibition space. Recent footage of the metropolitan area of Milan is shown next to each clip, highlighting the contemporary state of each respective location. Next door, work from three different teaching formats shows a broad palette of inquiries, standpoints and ideas. The design course ‚Process Cartography’ takes a cross section through the whole metropolitan territory from the Alps to the river Po, following the river Lambro. The design work from the elective course ‚Pairi-daeza’ concentrates on the territory to the north of the city and takes Milan’s metropolitan green belt as its theme. Finally, the work from the elective course ‚Urban Food’ investigates the historical and contemporary interaction between the city and the countryside from the point of view of food with a focus on the agriculturally fertile ground of the Po plain to the south of Milan. 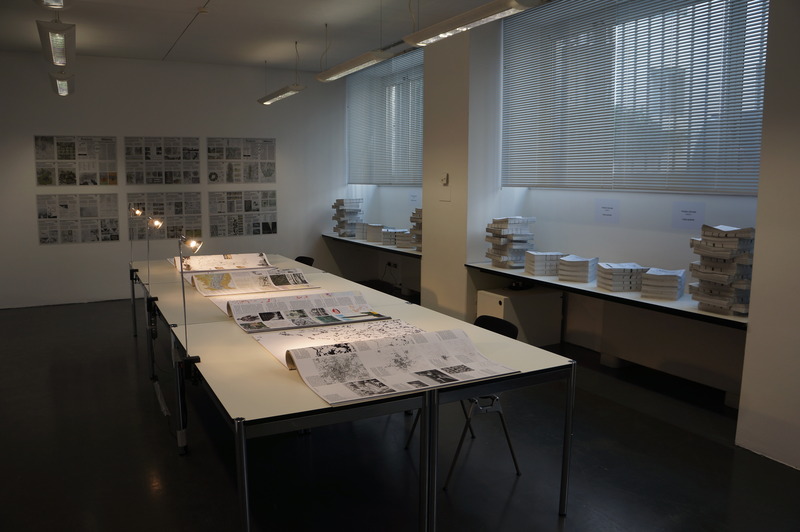 Accompanying the students’ work are thesis posters and newspapers in English and Italian, which are distributed to a broad public and therefore foster a discourse beyond the metropolitan region. In this way, ‘Positions’ explores the past, present and future of Milan’s metropolis through different gazes as it transforms itself into the 21st century.